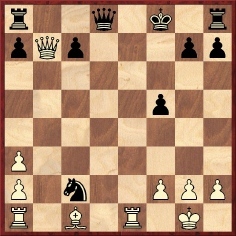 One way in which an ordinary amateur can become a chess immortal is by being in the right place at the right time. If, for instance, he is on the scene just as a new prodigy emerges, even an inglorious defeat will perpetuate his memory. A case in point is Juan Corzo, for whom the right place and time were Havana 1901, when he lost an historic match to the young Capablanca. Two of Corzo’s defeats are among the most celebrated games in literature, and his name will be remembered as long as chess is played. But despite this, and to say nothing of the further publicity he gained by being on the sharp end of a Capablanca brilliancy prize game in the Havana, 1913 tournament, Corzo’s immortality clearly has its limits. Hardly anyone nowadays knows anything about him, and it is not easy to find out more. Investigations are hindered by the erratic nature of Cuban periodical literature, which is all fits and starts. Time and again, new chess journals have wobbled along to an early grave, and throughout most of Corzo’s life the country was without any specialized magazine. Chess books appeared at the rate of two or three a decade; Corzo wrote none and none wrote about Corzo. Source: Ajedrez en Cuba by C. Palacio (Havana, 1960), pages 265-266. The game was also annotated by Janowsky on pages 233-234 of La Stratégie, 15 August 1897. He described 21 Bxf7+ as a ‘très jolie terminaison’. 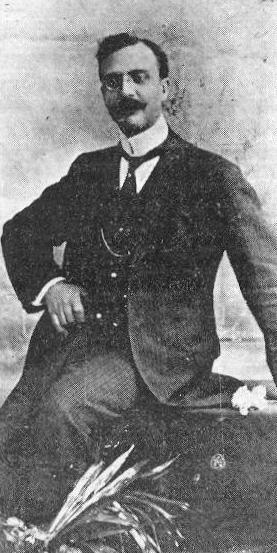 Manuel Golmayo’s father was Celso Golmayo y Zúpide, who had been generally accepted as Cuban champion since his 1862 match defeat of Félix Sicre. Celso did not play in the 1897 national championship tournament, but his title stayed in the family because another son, Celsito, was declared champion after a play-off against Andrés Clemente Vázquez. Although Corzo finished only fourth, he was evidently improving rapidly; in the following year’s tournament he won the national title outright. There was no immediate call for him to defend it. In early 1900 Corzo played two matches against Vázquez in Havana, winning the first +4 –0 =0 whereas Vázquez won the second +7 –5 =6. The latter contest was suspended on 19 March (when the score stood at +5 –5 =3) for a visit by Pillsbury. 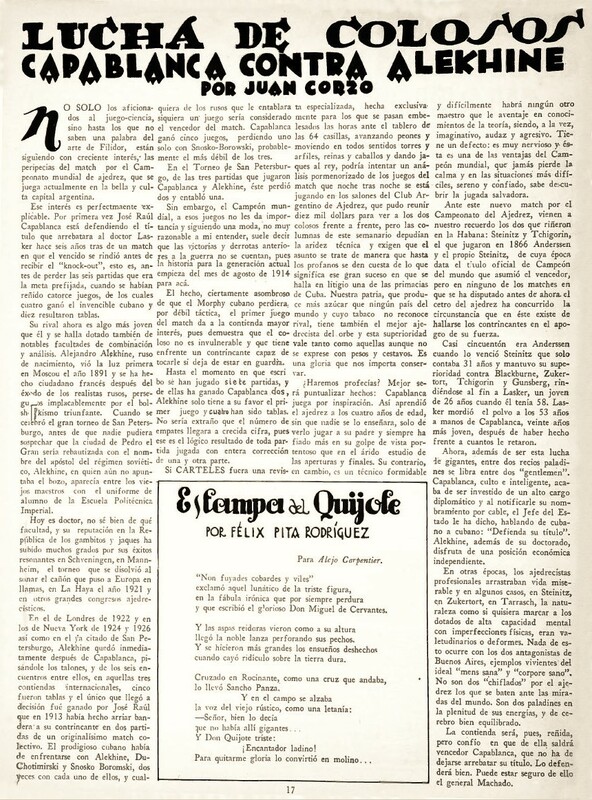 Play between Corzo and Vázquez resumed on 24 March and finished on 30 March.These details, together with the five sample games below, are taken from La Stratégie, which had extensive coverage of the matches (15 March 1900, pages 65-67; 15 April 1900, page 115; 15 May 1900, pages 137-143 and page 148; 15 June 1900, pages 170-178). Since the games were contested less than two years before the Capablanca v Corzo series, it is of interest to witness Corzo’s level of play. 18 Nd5 exd5 19 exd5 Re8 20 dxc6 Nxc6 21 Bc4+ Kh8 22 gxf5 Ne5 23 Bd5 Rb8 24 Rhe1 Rb5 25 Bd6 Rxd5 26 Rxd5 Nd3+ 27 Rxd3 Rxe1+ 28 Kd2 Re4 29 Re3 Bb7 30 Rxe4 Bxe4 31 g4 h5 32 gxh5 Bxf5 33 Bxb4 Kg8 34 Bd6 Kf7 35 c4 Ke6 36 Bf4 d6 37 h6 gxh6 38 Bxh6 Bg6 39 Kc3 Kd7 40 Kb4 Kc6 41 Bg7 Bf7 42 Bd4 Bh5 43 b3 Be2 44 Kc3 Kd7 45 Kd2 Bh5 46 a4 Bf7 47 Kc3 Kc6 48 b4 Kb7 49 b5 a5 50 Bf6 Kc7 51 Bg5 Bh5 52 Bf4 Black resigns. 30...Re8 31 Bxc7 Rexe3 32 Bxd8 Rxe1 33 Bh4 Ra1 34 Qf2 Rdd1 35 Qg2 Bd3 36 Qa8+ Kh7 37 Kf2 Ra2+ 38 Kf3 Rxf1+ 39 Ke3 Rd1 40 Qa7 Bg6 41 White resigns. 26 Rf8+ Qxf8 27 Qxg5 Nxd4 28 Bf5+ Qg7 29 Qxg7+ Kxg7 30 Bxd7 dxe5 31 Bxg4 c6 32 c3 Nb5 33 Rc1 Rd8 34 a4 Nc7 35 c4 Rd4 36 Bc8 b6 37 Bb7 c5 38 bxc5 bxc5 39 Bc8 Kh6 40 g4 Ne8 41 Rf1 Nd6 42 Rf6+ Kh7 43 Be6 e4 44 Kf2 Rd2+ 45 Ke3 Rd3+ 46 Ke2 Rg3 47 Bg8+ Kxg8 48 Rxd6 Rc3 49 Rd8+ Kf7 50 h6 Kg6 51 Rd6+ Kg5 52 Rd5+ Kxg4 53 Rxc5 Kf4 54 Rh5 Re3+ 55 Kd2 Rd3+ 56 Kc2 Rd8 57 h7 Rh8 58 Kd2 Kg4 59 Rh1 Kf4 60 Rf1+ Ke5 61 Rf7 Rd8+ 62 Ke2 Rb8 63 Rb7 Rf8 64 Rg7 Rh8 65 Ke3 a5 66 Rg5+ Kd6 67 Rh5 Kc6 68 Kxe4 Kb6 69 Kf5 Kc5 70 Kg6+ Kb4 71 Kg7 Rxh7+ 72 Kxh7 Kxa4 73 Rb5 Black resigns. 25...g2 26 Nh2 Qh3 27 Bf2 Bg7 28 Nf1 gxf1(Q) 29 Qxf1 Qd3+ 30 Ke1 Rh8 31 Ng1 Qxf1+ 32 Kxf1 Rh2 33 Rd1 Bh6 34 Ke1 Bxf4 35 Ne2 Rh1+ 36 Ng1 Ne3 37 White resigns. After winning two informal games against Capablanca in September/October 1901, Corzo faced the prodigy in the now famous match, which lasted from 17 November to 18 December 1901 and ended in victory for Capablanca by +4 –3 =6. It used to be feared that only the two games Capablanca published in My Chess Career had survived, but the remaining scores have since trickled into circulation, largely thanks to the research of Miguel Alemán, E.W. Axe, James Gilchrist and Paul Leith. 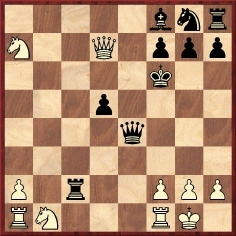 A number appeared in the BCM in 1960 and two subsequent books published the full set: Los niños prodigio del ajedrez by Pablo Morán (Barcelona, 1973) and The Unknown Capablanca by David Hooper and Dale Brandreth (London, 1975). The latter work gave the clock times, showing that Capablanca played at an average speed of 90 moves an hour. The exact status of the match is debatable. 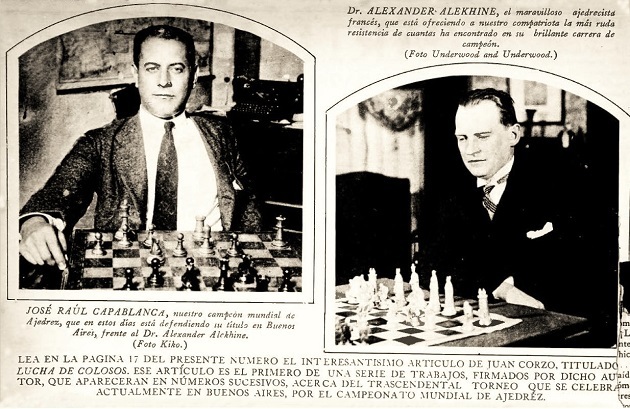 Capablanca wrote in My Chess Career, ‘the victory made me, morally at least, the champion of Cuba’, but in the Buenos Aires newspaper La Crítica of 19 September 1927 he remarked after his first match game against Alekhine in the world championship: ‘Since my first match, with Corzo for the Cuban Championship, when I was 12 years of age, this is the first time in a match that my opponent has taken the lead, which does at least have the merit of a novelty.’ Corzo’s view on the 1901 match was that they were ‘offhand games’ (El Fígaro, 25 April 1909, page 219). Finally, it is worth noting that even today the year of the match is often wrongly given as 1900, whereas the correct date, 1901, is confirmed by local newspaper reports. The error may be traced back to the games index of My Chess Career. 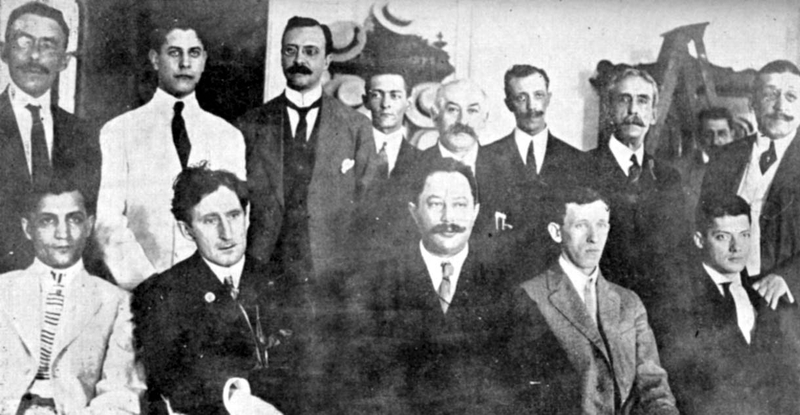 In 1902 Corzo retained/regained his national title in a double-round championship tournament, finishing 2½ points ahead of his brother Enrique, and four ahead of Capablanca, who came only fourth. Corzo won both of his individual games against the prodigy, but the scores seem to have been lost. It is almost certain that another celebrated Corzo v Capablanca brilliancy (game 2a in Reinfeld’s The Immortal Games of Capablanca) did not involve Juan Corzo at all, despite that attribution on page 136 of The Unknown Capablanca. 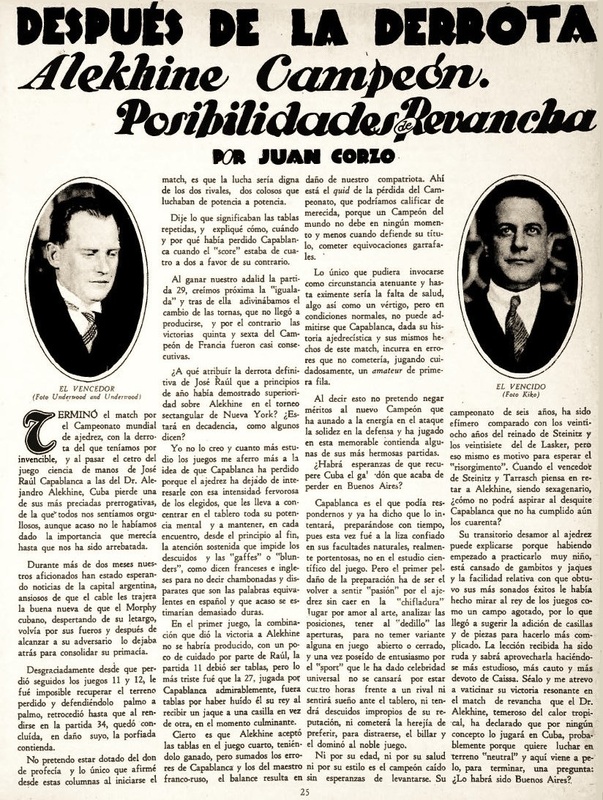 Although the Cuban newspaper Diario de la Marina of 5 February 1902 (evening edition, page 4) claimed that White was Juan Corzo, Juan himself said in the Mexican magazine Ajedrez of February 1938 (page 129) that Capablanca’s opponent had been his brother, Enrique (who had died in the early 1930s). 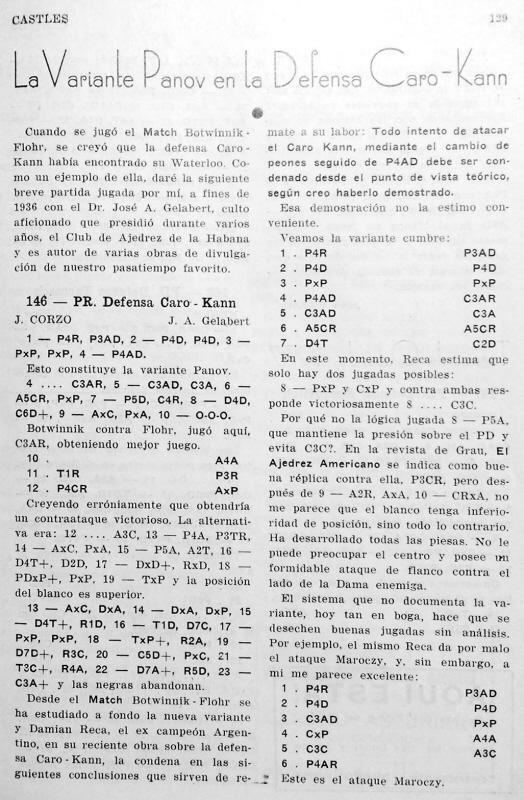 Ajedrez en Cuba, a scarce book by Carlos Palacio published in Havana in 1960, lists further match results of Juan Corzo: v Ramón Iglesias (1897) +5 –0 =1; v Rafael Blanco (1911) +5 –0 =0. The American Chess Bulletin of May 1912 (page 106) mentions another match against Iglesias, played in 1901, Corzo winning +7 –5 =2. This source also says that Corzo had won casual games from Dr Lasker and Taubenhaus. A number of games between Lasker and Corzo were given in The Collected Games of Emanuel Lasker by K. Whyld, published in 1998. 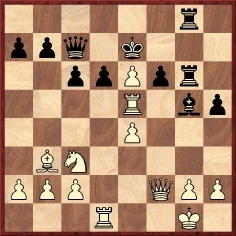 17 Nc3 (‘An unexpected sacrifice which proves sound.’) 17...Rxc3 18 Nb5 Rc2 (‘The position is interesting. 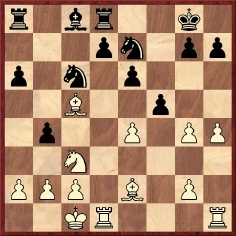 Another possible defensive move is 18...Rc4, but the entry of the White rook and the bad position of the Black king would make the second player’s situation almost desperate.’) 19 Rae1 Re2 20 Qc6+ Qe6 21 Qc3+ Kg6 22 Qd3+ Re4 23 f3 Bc5+ 24 Kh1 Nf6 25 fxe4 Nxe4 (‘The decisive error. 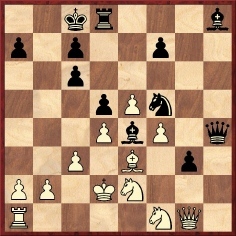 25...dxe4 would have left drawing chances.’) 26 Nc7 (‘Well played. 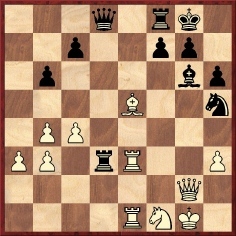 If 26 Nc3, Black could have drawn by perpetual check: 26...Re8 27 Nxd5 Qxd5 28 Qxd5 Nf2+ 29 Kg1 Nh3+.’) 26...Qe5 27 Nxd5 f5 28 Nf4+ Kg5 29 Rxe4 (‘Brilliant and decisive. 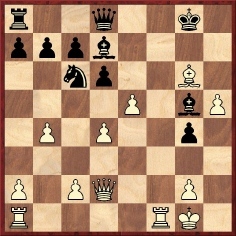 Black is irretrievably lost irrespective of whether he accepts the sacrifice.’) Black resigned. 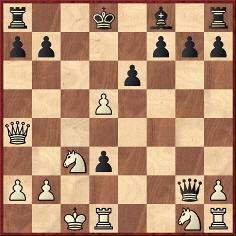 As regards the annotation by Corzo at move four, the Mieses v Maróczy game at Paris, 1900 was not a Danish Gambit. Corzo was probably thinking of Mieses’ loss in 24 moves at Monte Carlo, 1903. His only full-scale international tournament was Havana, 1913, where he brought up the rear but produced many of the liveliest games. Seated: C. Jaffe, F.J. Marshall, O. Chajes, A. Kupchik, R. Blanco. Four years later Juan Corzo came second in a small triangular tournament in the Cuban capital, half a point behind C.S. Howell and half a point ahead of Blanco. Corzo was a prolific journalist who wrote columns in a variety of publications over a 30-year period. 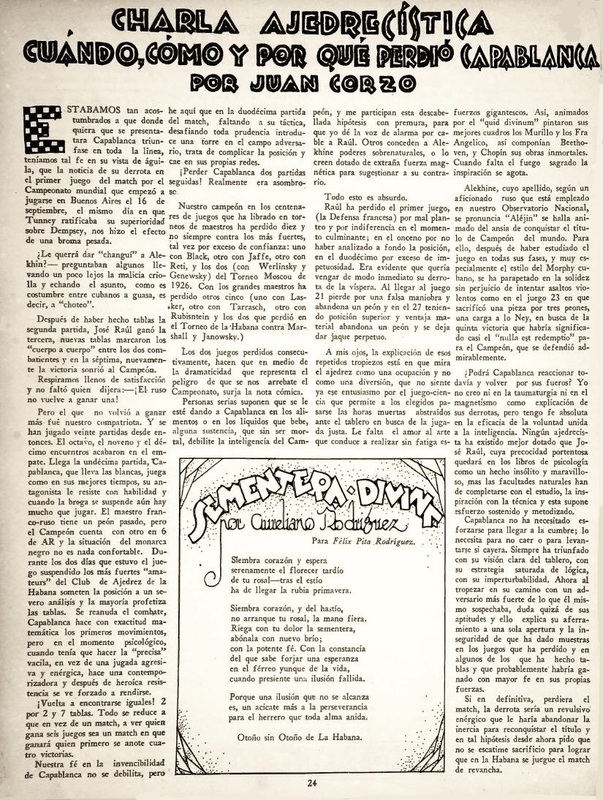 His weekly column in the Cuban magazine E1 Fígaro was particularly rich, frequently containing four or five games, two problems and general chess news, all spread out over a full page. He also played a key role in Capablanca-Magazine, which enjoyed a relatively long run (1912 to 1914). Corzo was described as the Administrador. 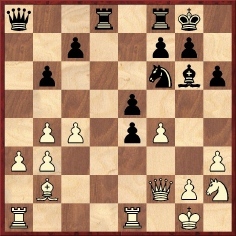 23 Red5 Bh4 24 Qxh4 Qb6+ 25 Rld4 Rxg2+ 26 Kf1 Rd2 27 e5 Rg6 28 exd6+ Kd8 29 e7+ Kd7 30 e8(Q)+ Kxe8 31 Qe4+ Kf7 32 Qe7+ Kg8 33 Rg5+ Resigns. 1 d4 d5 2 c4 e6 3 Nf3 Nd7 4 Nc3 Ngf6 5 Bg5 Bb4 6 Qb3 c5 7 cxd5 exd5 8 a3 Bxc3+ 9 Qxc3 c4 10 b3 Ne4 11 Bxd8 Nxc3 12 Ba5 Ne4 13 bxc4 dxc4 14 Nd2 Nxd2 15 Kxd2 b6 16 Bc3 Ba6 17 e4 O-O-O 18 Ke3 Rhe8 19 f3 f5 20 e5 Nf6 21 g3 Nd5+ 22 Kd2 Kd7 23 Bg2 Ke6 24 f4 Bb7 25 Rhg1 b5 26 Rab1 a6 27 a4 Bc6 28 axb5 axb5 29 Bxd5+ Kxd5 30 g4 fxg4 31 Rxg4 g6 32 Rh4 h5 33 Rh3 Ra8 34 Rg3 Re6 35 Rb2 Ke4 36 Re3+ Kxf4 37 Rb1 Ra2+ 38 Bb2 b4 39 Rf1+ Kg5 40 White resigns. Source: Diario de la Marina, 30 March 1931, page 12. The name of Corzo was seldom seen in print during the 1930s, although he contributed a brief analytical article on the game between Sir George Thomas and Vera Menchik, Hastings, 1934-35 on pages 364-365 of El Ajedrez Español, August 1935. See also pages 485-490 of the December 1935 issue. Corzo is such an obscure figure that it is appropriate that there should even have been confusion over when he died. In reference books the date was regularly given as 27 September 1938 until it was pointed out in C.N. 1085 that the October/November 1944 issue of Capablanca Magazine and issues 7, 8 and 9 of Jaque Mate 1964 contained photographs of Corzo taken on 13 April 1940 and 21 March 1941. 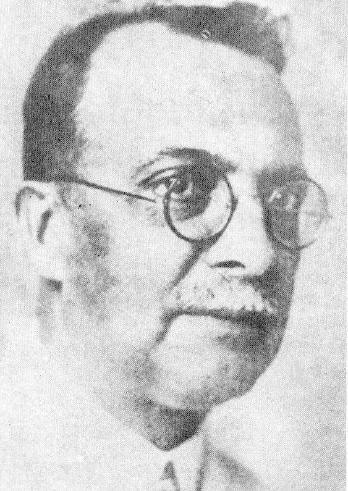 It turned out that Corzo died, in Havana, on 27 September 1941. Capablanca survived him by just five months. Afterword: This original version of the above article was published on pages 76-78 of the 8/1988 New in Chess. 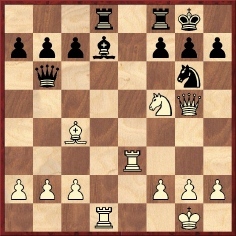 17 dxe6 fxe6 18 Rxd3+ Kc7 19 Qd7+ Kb6 20 Nd5+ exd5 21 Rb3+ Kc5 22 Qc7+ Kd4 23 Nf3+ Resigns.